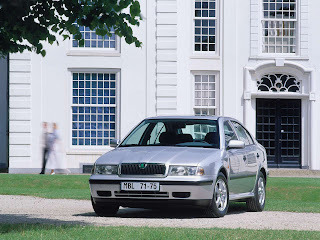 The first generation Octavia was released in November 1996 and was built at the modernized Škoda factory in Mladá Boleslav, Czech Republic. This generation was made available in hatchback or estate styles only. 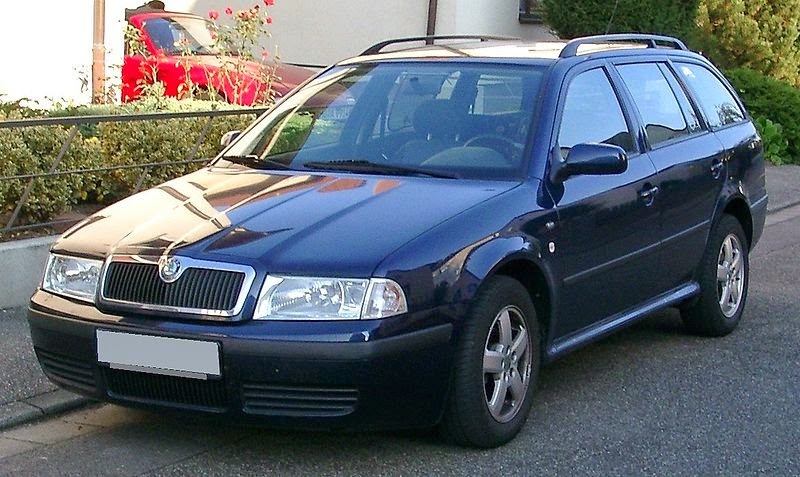 The facelifted Octavia featured a 4x4 wheel drive version both for the estate and more popular hatchback models, and used the Haldex Traction clutch, like other Volkswagen Group A platform based cars (Golf IV, Audi A3 and Seat Leon Cupra R4). It had higher ground clearance and a bigger fuel tank carrying 63-litre (17 US gal; 14 imp gal) compared to the 55-litre (15 US gal; 12 imp gal) standard front wheel drive versions. The 4x4 option was only available with the 1.8 T 150 bhp (112 kW; 152 PS) petrol engine, the 1.9 TDI 90 bhp (67 kW; 91 PS) diesel engine, or the 2.0 L petrol engine, all coupled with a 5-speed manual gearbox, and with the 1.9 TDI-PD (Pumpe-Düse) 100 bhp (75 kW; 101 PS) diesel engine which came with a 6-speed manual gearbox. The vRS was the top-level and quickest specification and used a 1.8-litre straight-4 turbocharged engine which produced 180 bhp (134 kW; 182 PS). Škoda made a limited number of 100 WRC Replica Cars worldwide in 2002. 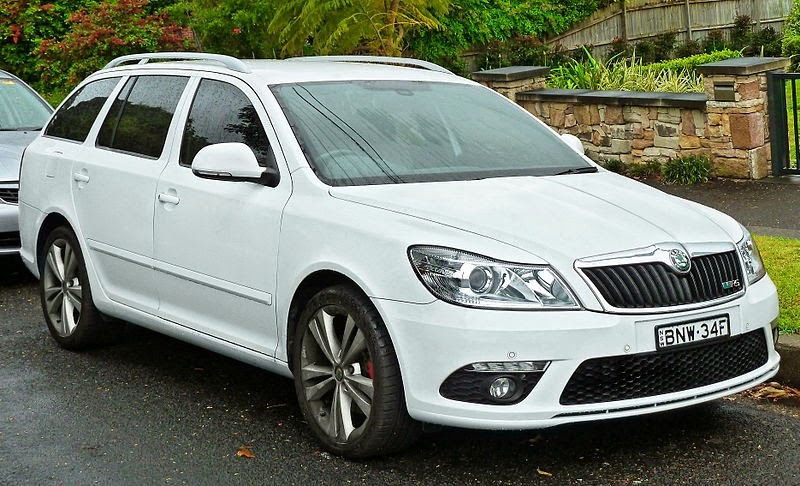 These differ from normal vRS Octavias, as they are produced in white, have rally decals and have additional accessories as standard (such as ESP, xenon lights, heated front seats). The vRS model was also popular with the UK police, both as a traffic car and as an unmarked Q-car, due to its low cost, reliability, performance, and understated styling. 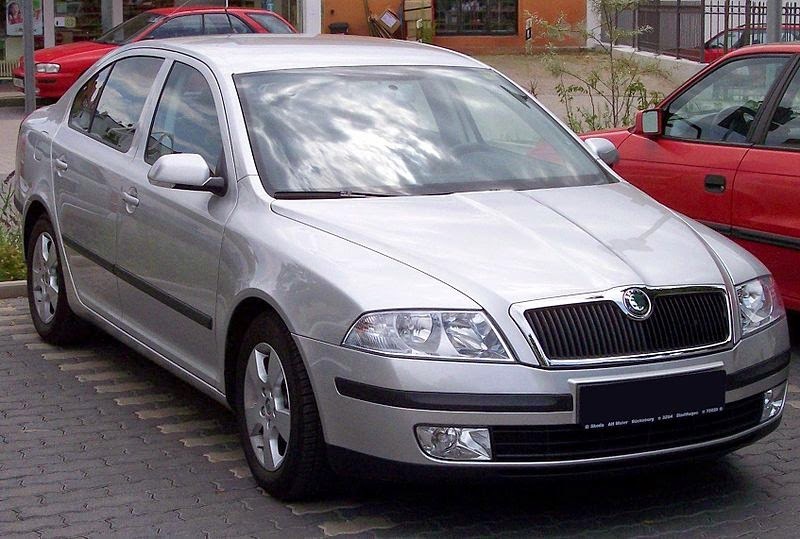 In India, the second-generation Octavia was marketed as the Laura to distinguish it from the first generation. 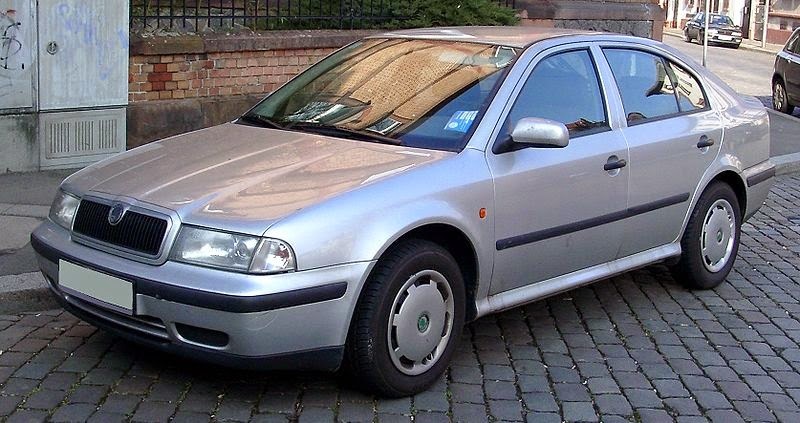 The car was marketed in a higher segment, and was sold alongside the previous generation Octavia. However the first generation ended production in India in 2010, and as of 2012 the Laura's price was reduced and was competing in its predecessor's segment. There are two four-wheel-drive versions of the Octavia: the 4x4 and the Scout, both featuring a Haldex Traction four-wheel-drive system, based on a computer-controlled clutch centre coupling. The two models both have higher ground clearance than the standard Octavia, increased by 24 mm (0.9 in) for the 4x4 and by 40 mm (1.6 in) for the Scout. The Scout, announced in 2006, is only available with the estate body style, and has several crossover style exterior modifications, such as larger bumpers. In August 2011, a special Škoda Octavia vRS hit the world record on the American Bonneville Speedway and became the fastest car in the world with an up to 2-litre engine, when it hit 365.43 km/h (227 mph). The car, designed by Jozef Kabaň, recalls the VisionD concept car presented in 2011. The new model is 9 cm (3.54 in) longer and 4.5 cm (1.77 in) wider than the second generation and the wheelbase lengthened by 8 cm (3.15 in).It is also up to 102 kilograms lighter than the previous model. 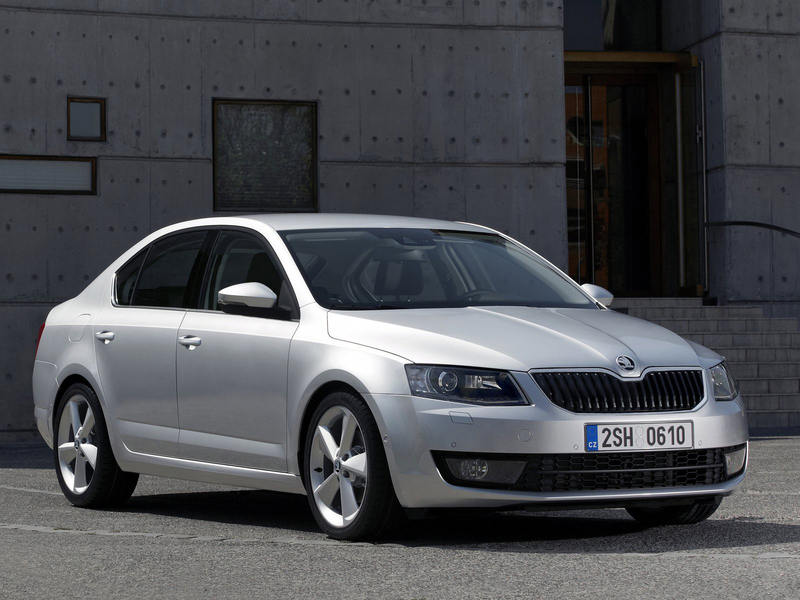 The interior length of the third generation ŠKODA Octavia has grown - in comparison to its predecessor - by 33 mm (1.30 in) to 1.782 mm (0.07 in), while the legroom for the backseat passengers grew by 47 mm (1.85 in) to now 73 mm (2.87 in). The headroom in the back was increased to 980 mm (38.58 in) (Octavia II: 966 mm (38.03 in)). The elbow width was also increased, in the front by 39 mm (1.54 in) to 1.454 mm (0.06 in), and in the rear by 26 mm (1.02 in) to 1.499 mm (0.06 in). Similarly, the shoulder room was optimised, in the front to 1.398 mm (0.06 in) by adding 19 mm (0.75 in), and in the rear to 1.378 mm (0.05 in), a plus of 4 mm (0.16 in). The luggage compartment volume is a class leading 590 l (20.84 cu ft), slightly more than the 585 l (20.66 cu ft) of the previous generation model or 565 l (19.95 cu ft) of the larger Volkswagen Passat. Octavia customers wishing to carry more can opt, from May 2013, for the Combi (estate) version with its 610 l (21.54 cu ft) luggage capacity. The Octavia RS, available in both the hatchback and estate body styles, was premiered at the Goodwood Festival of Speed 2013. It features the 162 kW (220 PS) 2.0 TSI engine from the newly launched Golf 7 GTI and the 135 kW (184 PS) 2.0 TDI engine from the Golf 7 GTD. With top speed 248 km/h, the Octavia RS with petrol engine and manual gearbox was acclaimed to be the fastest production Octavia ever. 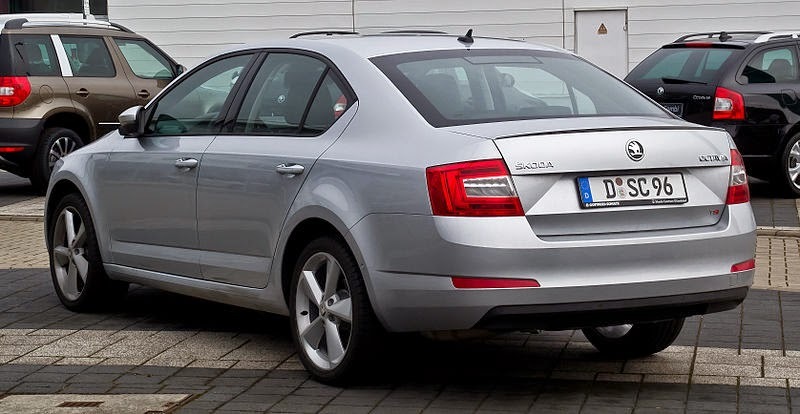 In comparison with standard car, the sports Octavia features progressive steering (variable-ratio steering), sports chassis, electronic differential lock (XDS) and so-called ‘Performance Sound Generator‘, that enhances sporty sound of the engine. The source of sound vibrations is the electromagnetic pulse generator placed in the area under/in front of the windshield. The sound vibrations are spreading into the car’s cabin through the body and the windshield. The frequency and intensity of the sound is dependent not only on the profile chosen, but also the engine revolutions, driving speed and engine load (the throttle pedal position). The generated sound is directed inside the cabin, especially to the front seat area. Last updated on 1 February 2015 at 11:13. In manuals.co there are over 9000 car manuals available and one of those I have used this vehicle service manuals Skoda since I own a Skoda car. The experience is great.